Front view of complete assembly. Case hardened thrust wheels, 6202 ball bearing installed ready to go. Regular blocks. 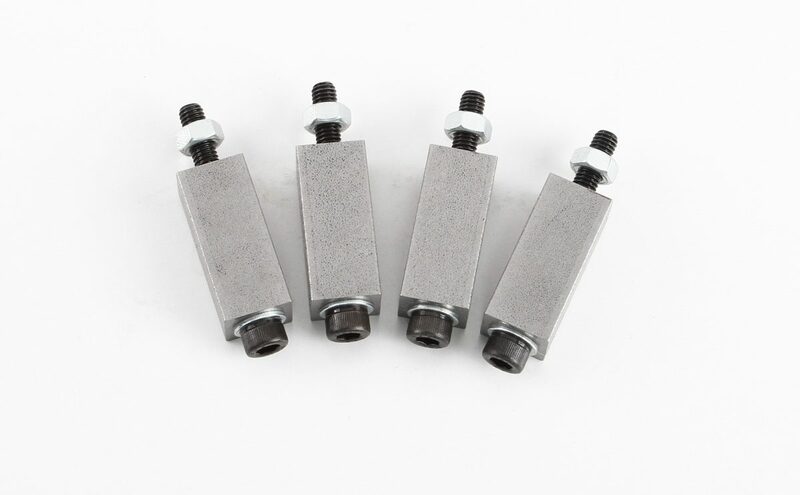 Price per set of 4. LongBlocks. Price per set of 4. Mounting rod made to custom length, milled flat for set screw location. Complete assembly with long blocks for 1.5" to 2" band. Click on the product photo below for specific dimensions and details. 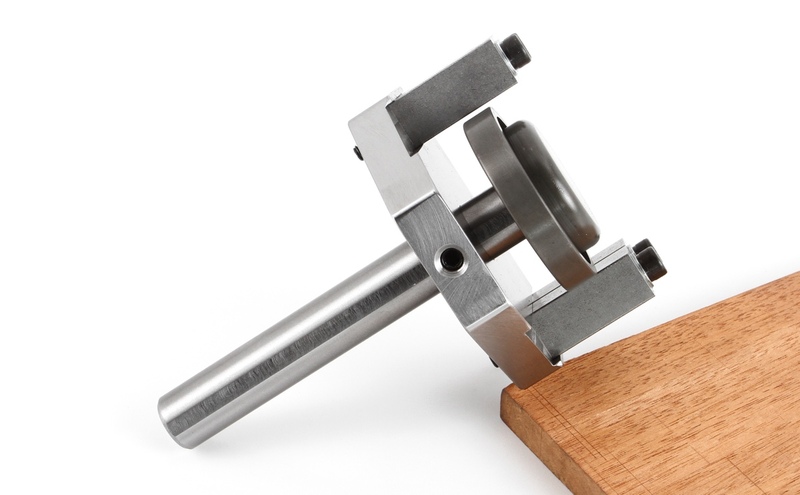 These bandsaw guides are a new and refined model of the Wolfenden design. 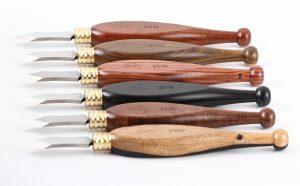 They have not been manufactured in Melbourne for 20+ years until now and are made in house at Vesper Tools with the blessing of Peter Wolfenden the last owner of Allen Wolfenden Machinery who is now enjoying retirement and gives his regards to the woodworking community. The basis of these rock solid guides are a case hardened thrust wheel and case hardened guide blocks and all built with a good dose of Vesper precision. When Chris Vesper restored his famous Bandosawrus in 1998 he put original Wolfenden guides components on it and in 20 years has not yet managed to wear out three faces out of 4 available faces on the guide blocks, and the thrust wheel bearing (the bearing not the wheel) has required one change in 20 years. 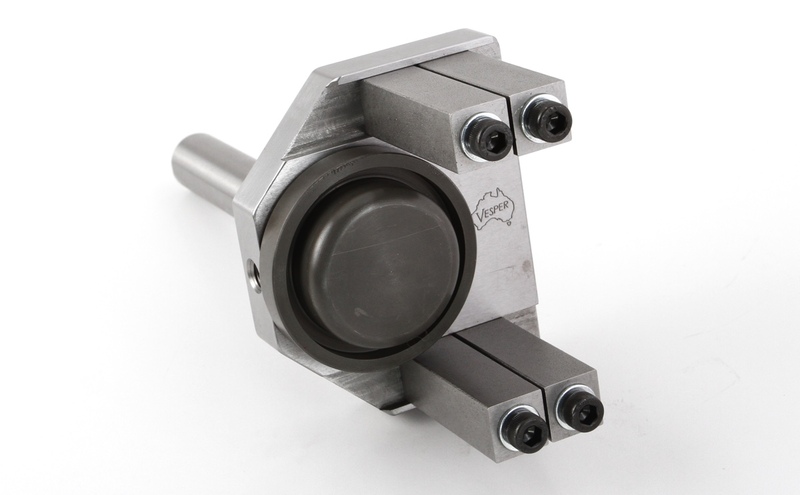 The complete guide assembly or its separate components can be fitted straight on most Wolfenden and Tannerwitz machines. Or other brands like Wadkin, Barker and many more can be retrofitted without much trouble. Sometimes with positive effect of increasing max depth of cut, and certainly always increasing precision with which the blade is guided. 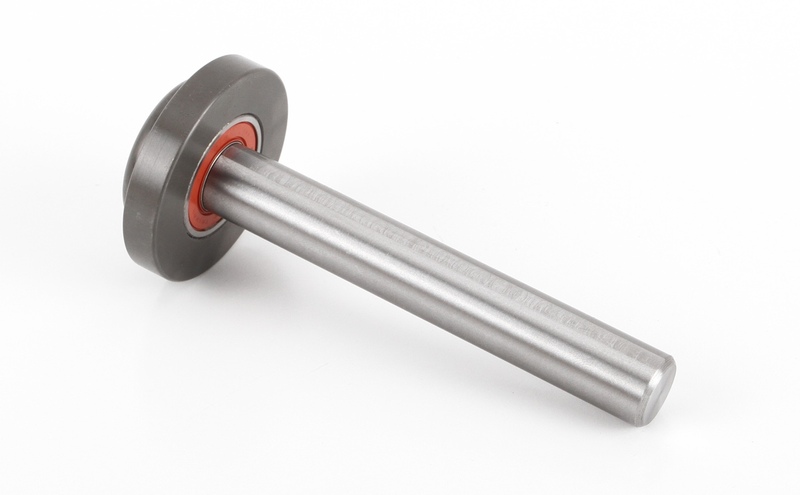 The main rod that the thrust wheel and backing plate sit on is ground 4140 rod at either 3/4" dia or optional 20.00mm dia. 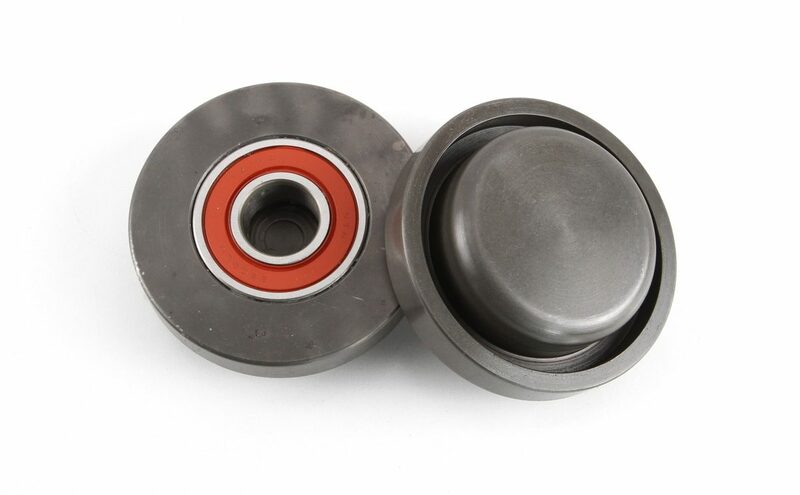 When ordering a complete assembly or an even individual rod on its own please advise diameter and length max required and it will be supplied as requested. 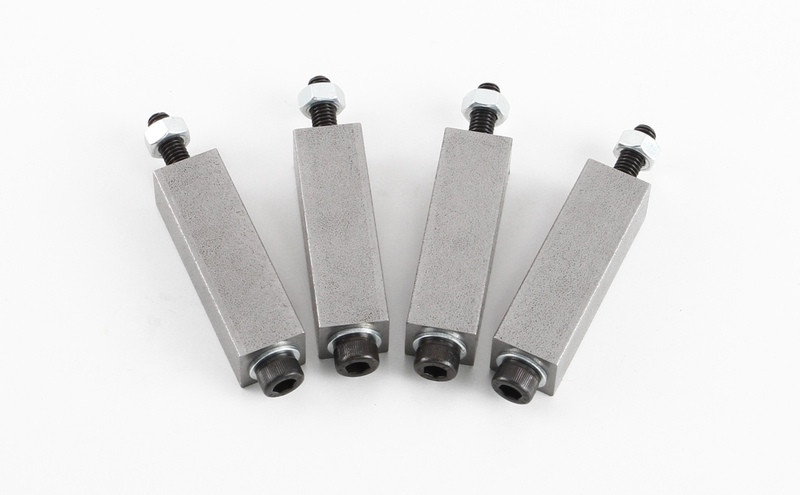 Vesper Tools has made two lengths of the case hardened blocks: the Regular blocks and LongBlocks. The Regular blocks will cover everything up to a 27mm band with carbide tips which is a common band to run these days for many woodworkers. 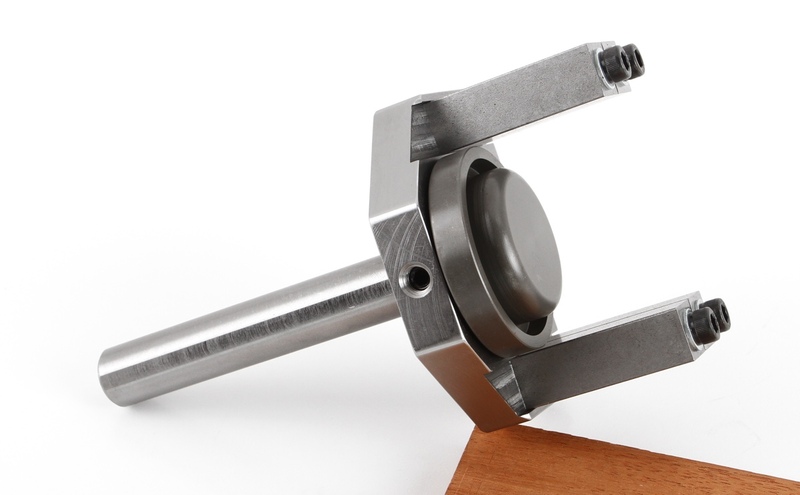 ONLY if you are running 1.5 or 2" band you will need the LongBlocks. 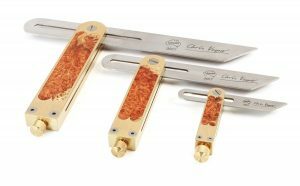 The LongBlocks work on smaller blades but do not buy LongBlocks unless you actually run 1.5" or 2" band or you will find they limit the bandsaw by being too long and not having enough travel in guide adjustment to run smaller bands. Bandsaw guide blocks regular length.